Home security and personal safety is important to all homeowners. Having the proper locks on a door can help improve home security. Statistics show that intruders tend to choose houses that have door which look easy to break into. The appearance of a heavy duty lock is just as important as the functionality of one. Knowing the options can help homeowners decide what type of door lock will work best for their home. 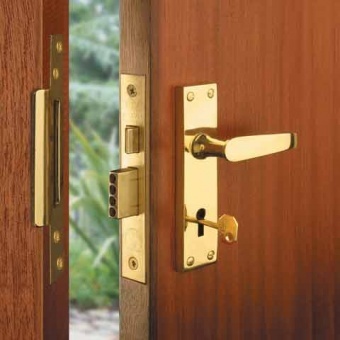 A classic deadbolt is one of the most common types of heavy duty locks used. This is one of the strongest types of door locks on the market. It is extremely difficult to break through and some even have saw resistant screws, making it impossible for intruders to cut through them. Their complicated inner latch system makes it extremely difficult to pick these locks. Deadbolts can also come with combination locks attached to them. This eliminates the need for a key, which is great for anyone prone to losing their key often. It can also help avoid someone copying a key to keep for personal use. Many of these locks even have alarm systems which will be triggered if an incorrect code is entered. When using a combination lock, it is important to use a memorable, but difficult to crack code. The downside of these locks is that, for places that have numerous people going in and out, some people feel uncomfortable giving out there code to too many people. Many people underestimate the use of a chain lock. Though it should never be the sole form of locking system, it can provide added protection against break in. 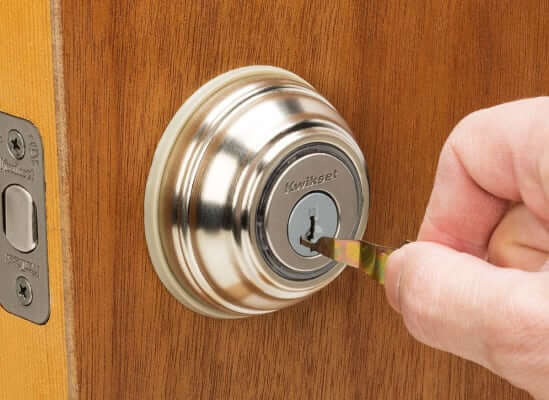 It may cause an intruder to give up on entry if they have become exhausted with breaking through the first lock or two only to find another obstacle within the door. Breaking a chain lock causes a lot of noise and is usually more trouble than it is worth for an intruder. Many people believe that these locks can only be secured from the inside, however, there are several chain locks on the market which have a key lock on the wall mount so they can be locked and unlocked from the outside of the door. This is good for homes that are left vacant for long periods of time. Night latches are installed from the inside of the door and lock automatically when the door is closed. This is great for people who tend to forget to lock their doors often. Though effective, these locks offer generally light security and should always be used in conjunction with another locking system. 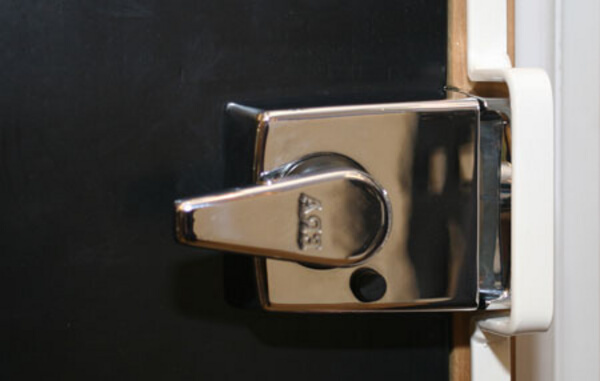 There are many types of locks that can be used to secure a door and protect against intruders. Each home requires different security. 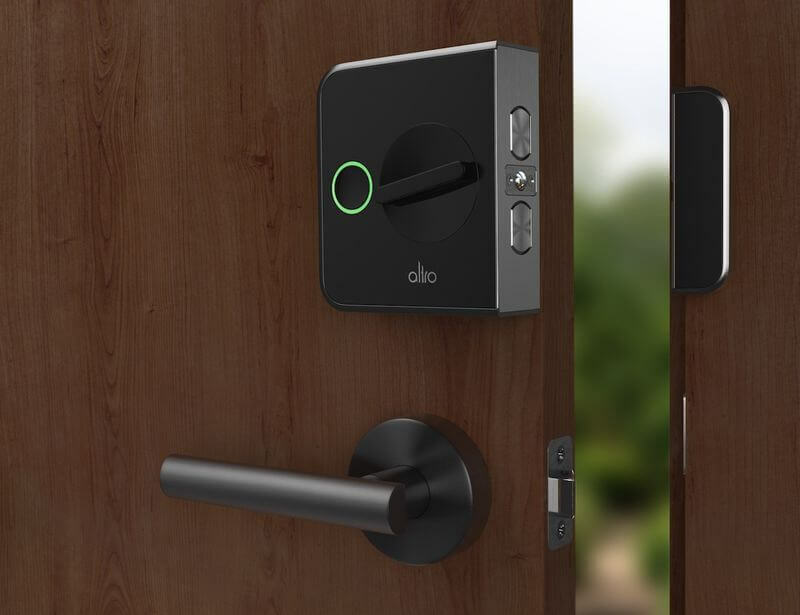 Knowing the advantages of each lock can help homeowners determine which type of door lock will work best for their home.